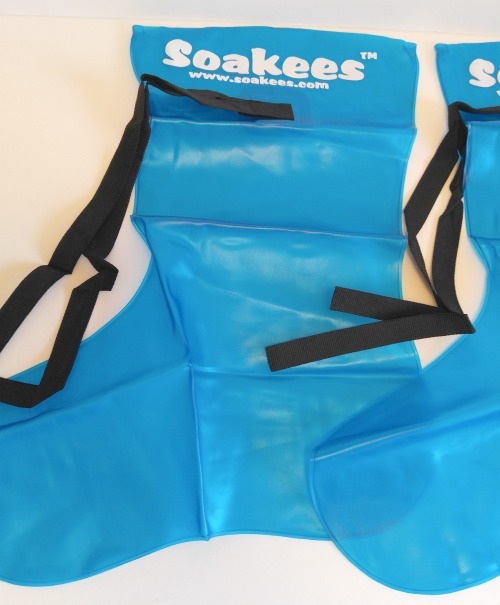 Soakees will help take away some of the stress of the holidays. During the holidays we stress and run around more than we normally do. Sometimes our feet and legs scream at us to stop and take a break. All you need is 20 minutes. Regardless of where you are. But you don’t want to keep this secret to yourself. These will be the perfect stocking stuffer or that unique gift hiding under the tree for your loved one. Less stress while helping to relieve some of the pain while indulging yourself. Which may help you sleep better after a long day of preparing for the holiday festivities. Because the boot is easy to use, simply slip the boot onto your foot with 3 cups of water per foot. Add some epsom salts or specialized foot salts. Only has a water weight of 2 pounds vs 25 pounds of a floor tub! The ties around the top help make them adjustable. They will fit shoe sizes from 4 to size 13. How much easier can you get? Due to the face they are made from soft durable medical grade vinyl they are completely reusable and will work for men or women. Helping the men ( and some women ) with foot odor along with dry and aching feet. Another great use for these amazing booties is if you have an athlete in your family. From pulled muscles to twisted ankles, add ice instead of water and let them soak. Since they are so easy to roll and take with you, they will always be close at hand when needed. So, sit back, prop your feet up and relax! Watch the sunset and sip on something special to drink while letting your feet have the time of their life soaking. 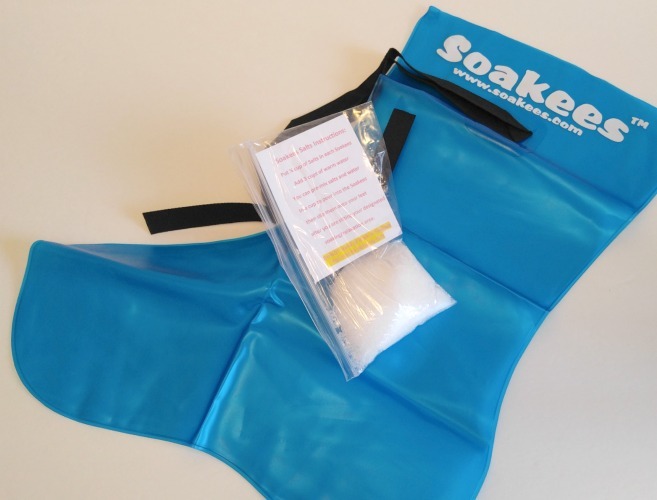 Soakees is perfect to help get you ready for the holiday and survive the holidays. Or as that special little stocking stuffer for someone you love.